This essay, which I read from the collection Moments of Being, consists of nearly 100 pages of Woolf’s recollections of childhood, recorded journal-entry-style in 1939-40. It introduces Woolf’s concept of “moments of being” and of “non-being,” the latter being the cotton wool in between the important stuff of life/memory. Interesting for organization (or lack thereof); for the layering of time, then and now; and for Woolf’s list-making. It was also unfinished at the time of her death, and somewhat lacking in narrative structure. The editors of this collection make some points about it not being up to VW’s standards for publication, but as this is the first I’ve read of her work, I can’t comment on how not-up-to-standards I find it. “A Sketch of the Past” is a series of memories of Woolf’s childhood, related when the author is nearly sixty. She begins by worrying over the format of these memoirs, then throwing up her hands to begin with “the first memory.” The form ends up being a sort of journal, with dated entries and a few comments on current events (the coming war). This layered-time effect allows commentary on both the past and the writing-present. 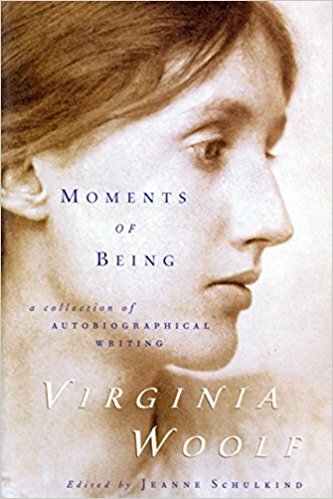 Woolf’s “moments of being” stand in contrast to what she calls “moments of non-being.” I understand these to be the memorable or remembered moments versus those not remembered, or not memorable–which are not necessarily the same thing. Woolf asks, “Why have I forgotten so many things that must have been, one would have thought, more memorable than what I do remember? … Often… I have been baffled by this same problem; that is, how to describe what I call in my private shorthand — ‘non-being.’ Every day includes much more non-being than being.” She likens non-being to cotton wool, or the everyday padding of what is remembered (or, what she wants to write about). She then goes on to call her moments of being “scaffolding in the background” of the real work of her storytelling: these are people, or characters. (The idea of moments of being, or characters, as the central work of storytelling is another concept for potential annotation.) “A Sketch of the Past” proceeds to study characters: Woolf’s mother, father, and a few siblings. For school, I wrote an annotation on Woolf’s list-making. Several lengthy lists help to accrue either scenes, descriptions or themes in Woolf’s remembering. Certainly, details are part of how she enlivens her storytelling (the flowers on the mother’s dress and the yellow blinds in the nursery, both on the essay’s first page). Sometimes it is the solitary nature of a detail that gives it its power, as with Mr Wolstenholme, who “when he ate plum tart he spurted the juice through his nose so that it made a purple stain on his grey moustache”–it is the nature of this man that “he had only one characteristic,” she says, even as she names others. This cue to the singularity of this detail, along with its vibrant colors and specificity, strengthens it. But when such details are presented in list form, I find them compelling in new ways, greater than the sum of the listed parts. At the sentence and paragraph level (or list level!) I found things to admire here. But a somewhat archaic style and lack of narrative arc, a certain rambling quality, made this essay hard for me to engage with. I’m not especially excited about this author, lauded though she be. 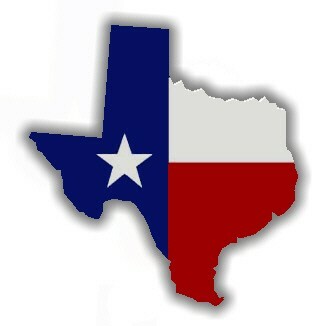 Final verdict? I am new to Woolf but at this point I find her inarguably skilled, but not terribly to my tastes at present. I read her novel “To the Light House” a few years back and while it took time to settle into the stream of consciousness style of writing in it, I became mesmerized by the story. But very recently I checked out several of her books, the one you reviewed, plus “The Waves”, which was hard to get though, and I didn’t, and several other non-fiction works. I came to the same conclusion as you did. I think she was breaking ground in the era that she wrote in, but it fell a little flat for me. Thanks for the support and added wisdom, Ilona!